Touch International is a supplier of high-quality touch screens and touch screen components for a variety of applications in medical, industrial, military, aerospace, retail, and gaming industries. In 2015, one of their customers asked Touch International to begin delivering all first articles through Net-Inspect. 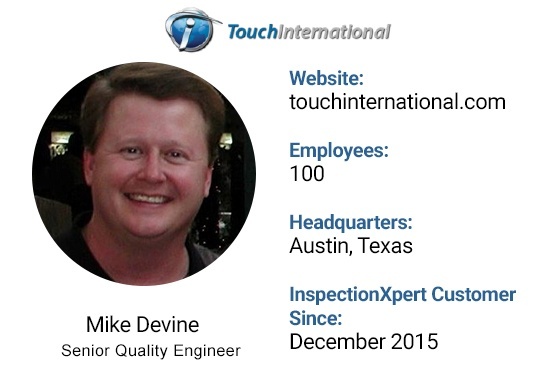 It would take Mike Devine, Senior Quality Engineer at Touch International, 5 hours to generate a moderately complex fully compliant AS9102 first article inspection plan. 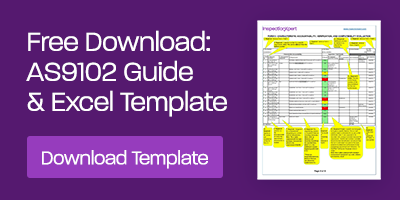 With InspectionXpert Mike is able to balloon and extract drawings in one step, and export directly into an AS9102 report template. It now takes 30-45 minutes to balloon a drawing and create an inspection report. Now Touch International uses InspectionXpert for all their first articles. They have gone from 4 inspectors assisting in creating inspection reports and first articles to Mike creating all reports himself. As a result, inspectors are able to spend their time measuring parts. In 2017 Touch International completed over 300 inspection plans. 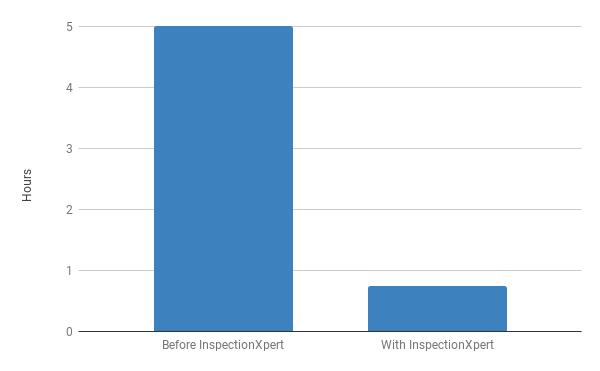 This equates to over 1,275 hours of work that was saved with the implementation of InspectionXpert.